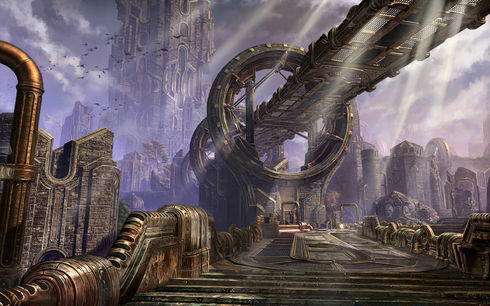 The Clockwork City, also known as Sotha Sil, after its creator, is said to be a great and intricate mechanism that duplicates the mythic structures of Nirn in metallic miniature. Only Seht himself knows its true purpose. This page was last modified on 2 February 2019, at 02:01.